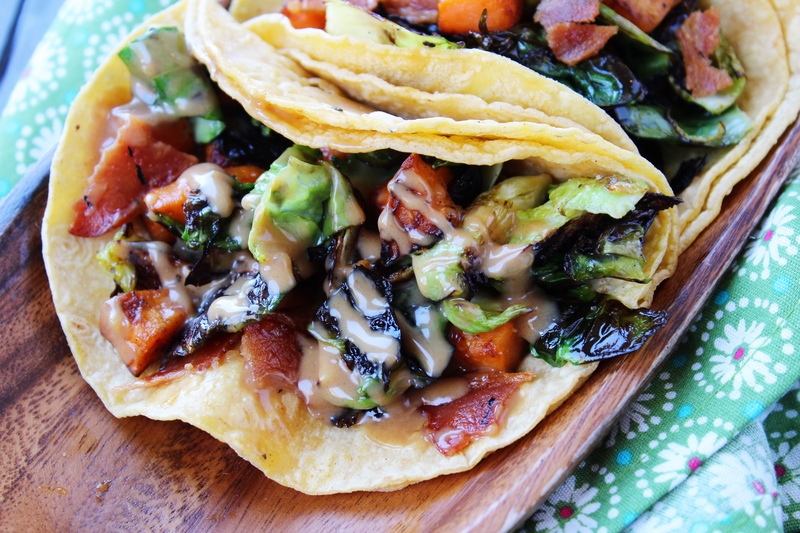 Tangy peanut sauce atop Brussels Sprouts tacos. Add to this sweet potatoes and bacon and you have a match made in heaven. At the end of February I was in New York city for a week. 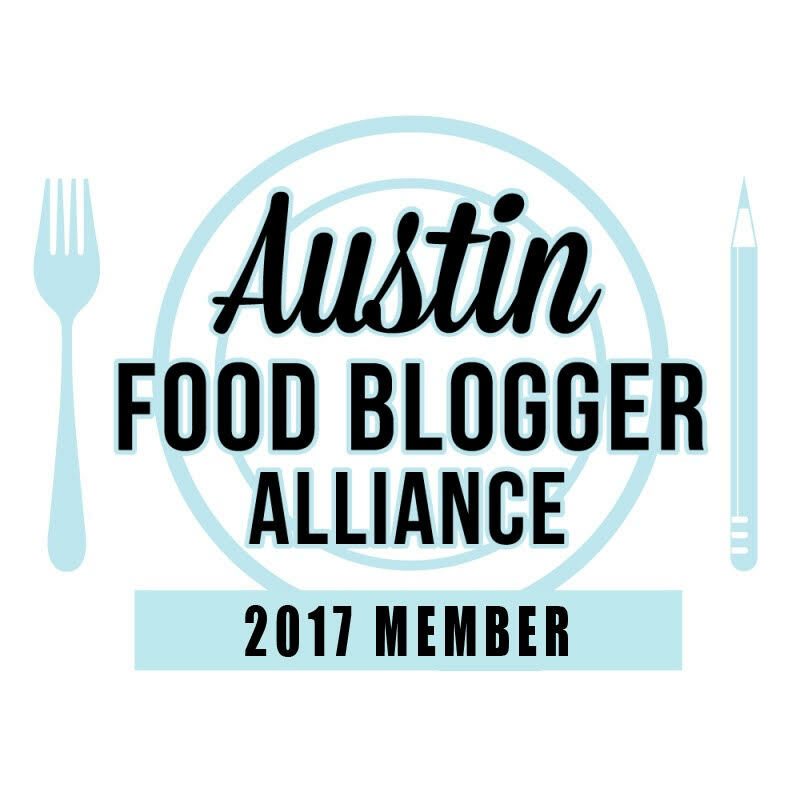 Knowing I was going to be there for four days of training plus a few more days for fun, I kept an eye on Instagram for great food places to try during my trip. One place I apparently missed was a taco place that had a special for February – Brussels Sprouts tacos. Say what? Now I love me some Brussels Sprouts. Roasted. Check. Fried. Double Check. Pizza. Check. Hash. Check. But in a taco? Never tried it. But as soon as I saw a picture of these bad boys on the Gram, I had to try them. There was no other option. And let me tell you, it’s genius. I added my regulars of sweet potatoes and bacon because why not just throw the hash in a corn tortilla! I almost topped the taco with a fried egg but instead opted to try out a peanut sauce since it’s National Peanut Month! This tangy sauce was the perfect addition to these tacos. Now I have to go find other things to drizzle it on. If you have ideas of what I can pair with Brussels Sprouts other than sweet potatoes, carrots, bacon and cranberries – let me know. I’m always up for more ideas! And be sure and stay tuned to the blog because I’ll be sharing all the places I went and the foods I ate in New York city. My stomach is still full from all the foods. Even with all the walking, I’m still full. Plus I got sick once I got back home. Why does that always happen to me. Every. Single. Time. But I won’t stop traveling! Next up is New Mexico or Las Vegas. I can’t wait to see which one comes first! 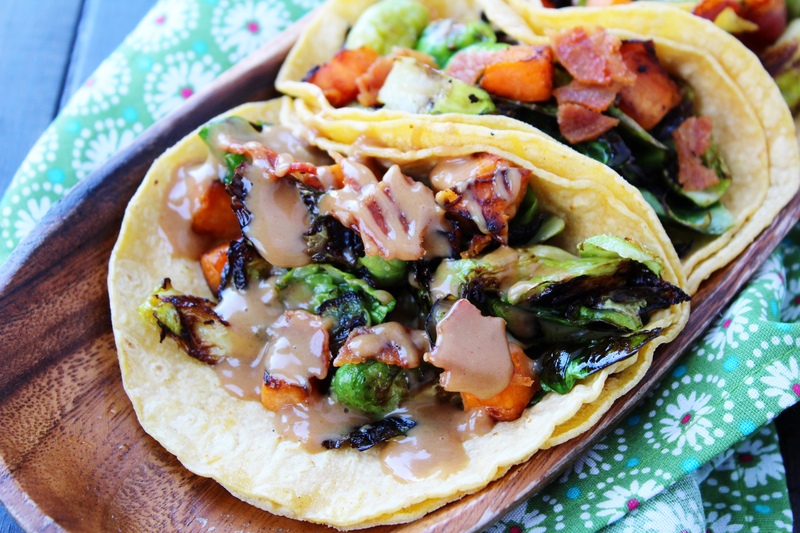 Tangy peanut sauce atop Brussel Sprouts tacos. Add to this sweet potatoes and bacon and you have a match made in heaven. For peanut sauce: Combine all ingredients in a mason jar. Close lid tightly and shake jar to mix together. Cover a large cookie sheet with foil. Top with a cooling rack and spray with cooking spray. Place bacon slices on rack. Place in the oven and turn oven on to 375 degrees. Cook for 20-22 minutes or until bacon reaches desired crispiness. Using a large cast iron pan, add enough oil to coat the bottom of the pan. Add sweet potatoes and cook until tender. Remove from pan and drain. Season with salt and pepper. Cook Brussel Sprouts but adding more oil to the pan and letting pan get hot, almost to the point of smoking. Add sprouts (watch out because they will pop) and let sear without moving for 2-3 minutes. Toss and cook until done. Remove and drain sprouts then season with salt and pepper. Heat corn tortillas in cast iron pan. Prepare tacos by placing one corn tortilla atop another tortilla. Add potatoes, sprouts and bacon. 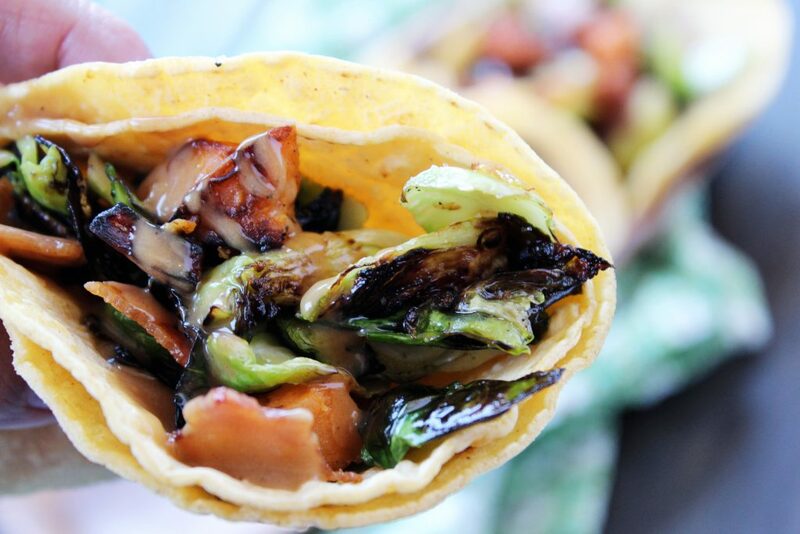 Drizzle peanut sauce on taco. You can make two tacos or ten - just adjust the ingredients to how many you want to make. Sauce makes around 1 cup.